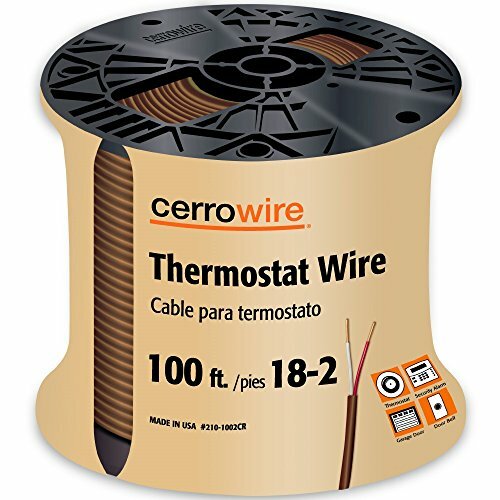 Cerrowire's Thermostat Wire is a Class 2 power limited cable for use in thermostat controls application and bell and alarm systems. Features solid bare copper conductors. 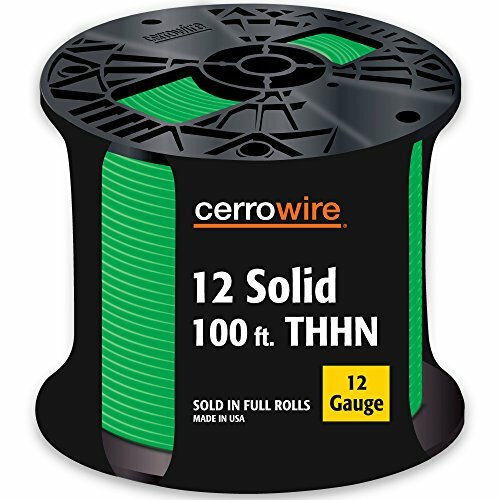 The CERRO solid THHN wire is constructed of durable copper. It's conductor is insulated with PVC and jacketed with nylon for effective, safe performance. This wire is recommended for use in commercial and industrial applications as specified in the NEC. 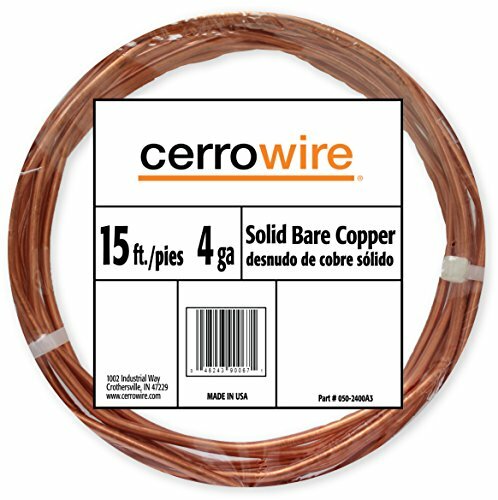 The CERRO solid bare copper grounding wire is soft-tempered for flexibility. This wire is for use in overhead transmission and distribution applications, as well as grounding applications. UL and CSA listed. 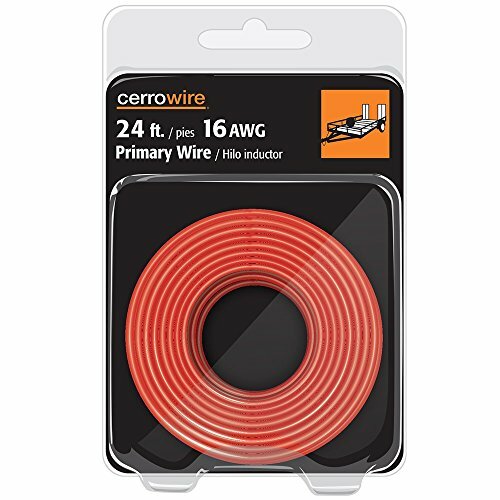 Cerrowire's SXL wire is suitable as a low-voltage primary wire for use at nominal system voltages. Type SXL provides optimum physical protection in high-temperature environments exposed to fluids and the kinds of mechanical abuse seen during the operation of cars, boats, trucks, buses, tractors, trailers, etc. 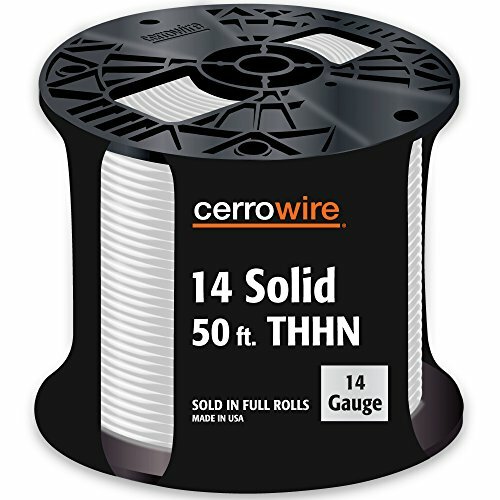 The CERRO solid THHN wire is constructed of durable copper. Its conductor is insulated with PVC and jacketed with nylon for effective, safe performance. This wire is recommended for use in commercial and industrial applications as specified in the NEC. 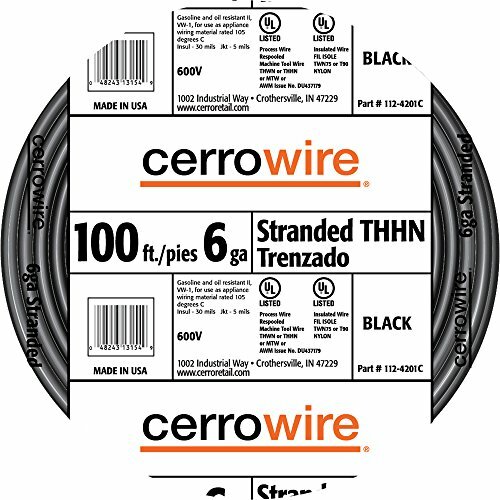 The CERRO stranded than wire is constructed of durable copper. It's conductor is insulated with PVC and jacketed with nylon for effective, safe performance. This wire is recommended for use in commercial and industrial applications as specified in the NEC. 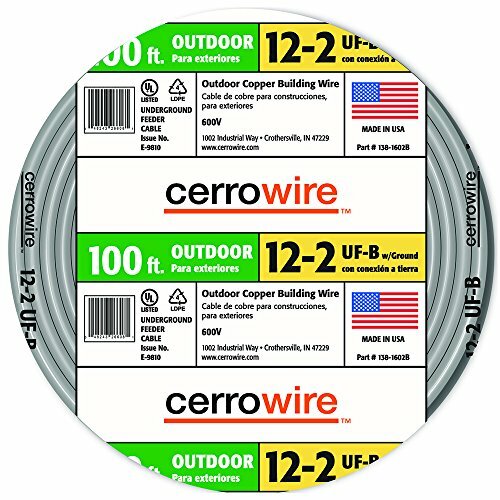 The CERRO type uf-b cable is designed for direct earth Burial. It is highly resistant to acids, alkalis, corrosive fumes, chemicals, lubricants and ground water. It can be used underground as a Feeder or branch circuit cable where provided with overcurrent protection of the rated ampacity as specified by the NEC. this product is great for use as interior wiring in wet, dry, or corrosive locations as specified by the NEC and may be installed as nonmetallic-sheathed cable as specified in NEC section 340.10(4) where temperatures do not exceed 194°f(90°c) and with the ampacity limited to that of 140°f(60°c) conductors. 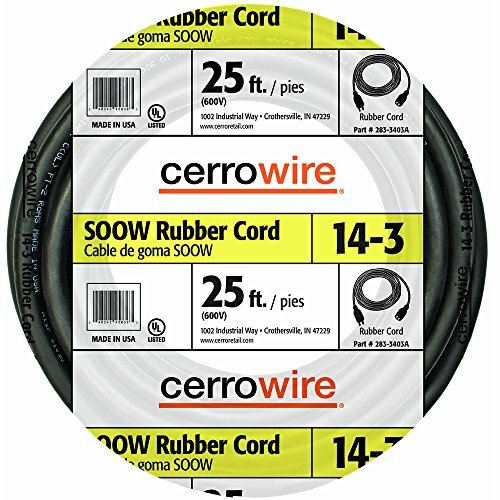 Cerro’s cabled wire takes the time and worry out of electrical installation. No longer do you need to deal with tangles and hassles of multiple wire spools. 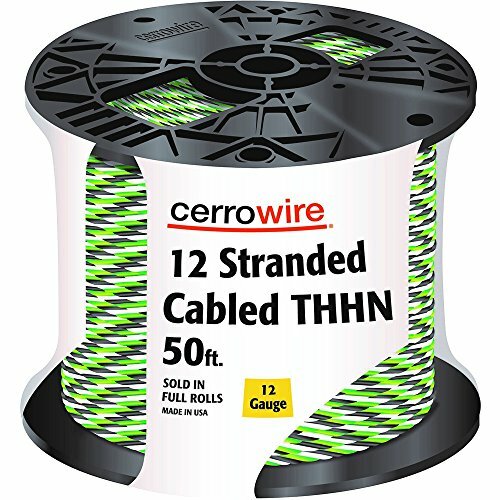 Developed for fast, easy and reliable use; Cerro’s cabled THHN is perfect for commercial and industrial applications. 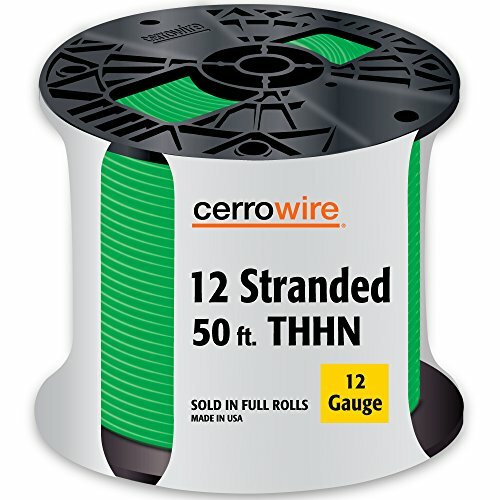 The CERRO stranded THHN wire is constructed of durable copper. It's conductor is insulated with PVC and jacketed with nylon for effective, safe performance. This wire is recommended for use in commercial and industrial applications as specified in the NEC. Type SOOW Flexible Extra-Heavy Duty Cords are designed for extra hard usage on industrial equipment, heavy tools, battery chargers, portable lights, welding leads, marine dockside power, power extensions, and mining applications. They are permitted for use as specified by Article 400 and related articles of the National Electrical Code. They can also be used for special applications/locations as outlined in NFPA Paragraph 501.140 Class 1 Division 1 and 2 and Paragraph 502.140 Class II Divison 1 and 2. SOOW Flexible Cords are also UL and c(UL) listed for water resistance.